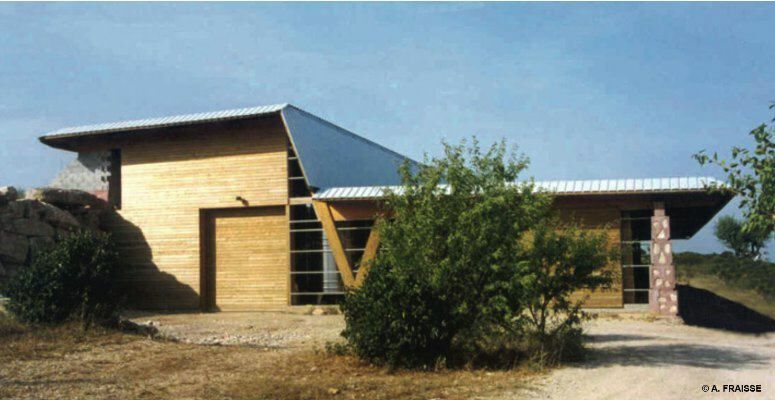 Address : 34360 ASSIGNAN HERAULT (FRANCE). 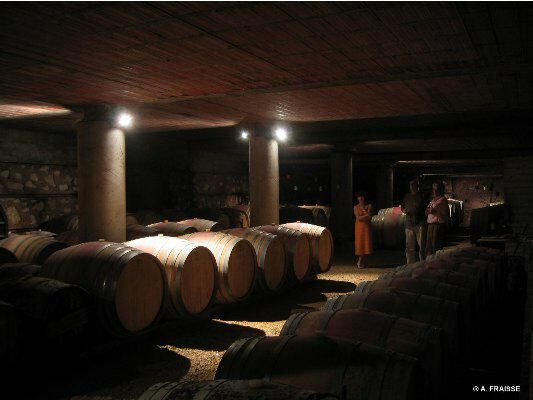 Initially situated in the heart of the village of Assignan, the cellar of the Domain de Soulié produces organic wine. The lack of space and a wish to develop have been the principal reasons for the construction of a new building on this sloping site which dominates the winemaking landscape. Composed on a rectangular plan, the project is organised as two spaces : a buried grape growing facility and a winemaking cellar. The whole, backing onto a natural landscape, profits from the slope of the land. The grape processing is carried out according to gravitational organisation from the small roadway which is perched above the grape growing facility. This latter element is covered by two metres of earth. It benefits from a thermal regulation naturally favorable for wine production. 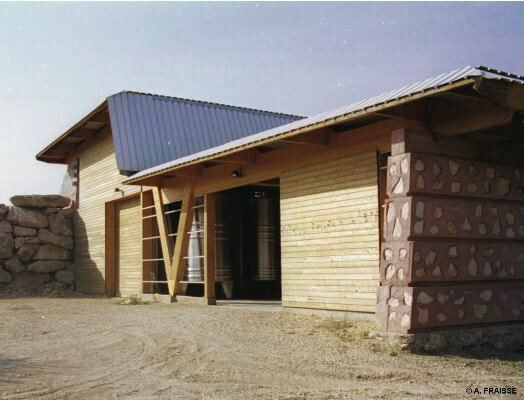 The structure of the building is in reinforced concrete. The second built element is delimited by thick concrete walls. The hew of the concrete is due to its coloration by iron oxides. The structure is composed of glued laminated beams in a “V” configuration which liberates the ground plane. The structure sits on a central grid line at the intersection point of the “V” figure and, on either side, on concrete walls. The cladding is in metal sheeting.